Auschwitz Research Papers look at one of the most recognizable death camps during the holocaust. Of all the Nazi death camps during the Holocaust, Auschwitz is the most recognizable and infamous today. 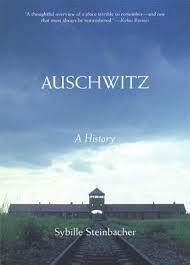 The atrocities that took place at Auschwitz under Hitler's command are seldom denied any longer. Forensic evidence and tests on the stone and iron still standing from the days of World War II give evidence of the types of murder and genocide that took place. It is a common misconception that the Jews of Auschwitz were hushed into fear in their struggle to resist the brutality of Auschwitz and other concentration camps. In fact, a large underground existed in Auschwitz that ran messages and contraband out of Germany and throughout Europe. However, despite the complexity and size of the underground, the prisoners of Auschwitz were unable to successfully hold an uprising, stage an effective revolt, obtain more than a handful of arms and explosives or organize a glimmer of an uprising to attract attention, like those in Warsaw or Treblinka. Auschwitz research papers have been written by history experts. Paper Masters can produce a custom written project on Auschwitz that fits your guidelines. The existence of concentration camps was not unknown even before the war began. In 1933 there were approximately 50 concentration camps for the purpose of holding prisoners. By 1938, there were approximately 30,000 prisoners in these various camps , though at this time the number of camps had been greatly reduced in number. The population of these camps was in a continual state of flux, as prisoners were coming and going on a regular basis. The camps were more for intimidating their inmates rather than systematically breaking them, as would happen later. Additionally, Jews were not singled out to be sent to these camps; other inmates included criminals and political prisoners. Jewish confusion about the Reich's ultimate goal for them can be perfectly understood, given that until the Wannsee conference of 1941, it was not entirely clear to the leaders of the Reich themselves what was intended. The Wannsee Conference was a meeting of top Nazi officials to set in motion the Final Solution. The term "final solution" itself was used from 1940 on, but following the Wannsee Conference, the perceived need for the implementation of the Final Solution became more and more urgent . Man's Search for Meaning Research Papers - Psychiatrist Viktor Frankl spent years in Nazi labor camps, including Auschwitz, and witnessed the deaths of many of his family members. Nazi Medical Experiments - For example, sterilization and castration experiments conducted at the Auschwitz concentration camp was part of the racial cleansing program. Adolf Hitler and the Jews - The “final solution” in his plan for the Jews would demonstrate the evilness of his true nature: he removed members of the Jewish faith from all occupied Germany. Pius XII and the Holocaust Research Papers - During the execution of the chilling “final solution,” an estimated 6 million men, women, and children lost their lives to the systematic genocide. German Public Knowledge of Concentration Camps was arguably the most instrumental and influential Nazi responsible for devising and carrying out what became known as the final solution for Europe's Jews. Nazi Germany's Negative Anti-Semitism Propaganda Research Papers examine how influential the propaganda was on the Jewish people before and during Hitler's reign. Nazi Euthanasia Program research papers discuss how Hitler wanted the Jews as well as the mentally and physically disabled from the German population. Rise of the Nazi Party - Beginning in 1919, former soldier Adolf Hitler joined the German Workers' Party, the predecessor to the Nazi Party. War Crimes Research Papers - Numerous Nazi officials, including Herman Goering, were put on trial after World War II. Order a research paper om war crimes from Paper Masters. Psychodynamic View of Adolph Hitler research papers on the psychology of Hitler. Adolf Hitler's death - what lead him to commit suicide and what was done to his remains. Adolf Hitler's Beliefs research papers discuss Hitler's beliefs on politics, religion, and the culture human beings. Mein Kampf, the autobiography of Adolf Hitler, is not a traditional autobiography in the sense that it is a narrative of the life of man. Paper Masters writes custom research papers on Auschwitz and look at one of the most recognizable death camps during holocaust.